For years, cannabis has influenced major laughing episodes without users knowing why. This was even a problem in the "Reefer Madness" movie. Make sure you learn why cannabis gives you the giggles, especially when hanging with your stoner buds! He also noted that 99.9% of the episodes did not interrupt the conversation. Almost 100% of all laughing episodes happened in perfect sync with conversation breaks and pauses. This led Provine to conclude that laughter is inherently social. It does not come as a mere consequence of finding something funny. There is a communicatory purpose to laughing and Robert Provine believes it predates speech by many years. Perhaps even millions. With this, we can conclude that laughter is more than just a response to humour. It’s a primal tool and a foundational block to what we call society. It’s part of the essence of humans as social creatures, giving us the chance to communicate what could not be shared otherwise. Regardless of its origins, everyone can agree that, in general, laughing is a pleasant experience. Not all laughter is necessarily joyful or related to humour, but in most social contexts, laughing is a sign of excitement, fun, and joy. Understanding so little of what makes us laugh in the first place, it may seem especially difficult to theorise why we laugh when using cannabis. While there is no hard evidence, we can still explore some points that help us better understand this curious relationship. Laughter is associated with the right frontal and left temporal lobes of the brain. Research has shown that cannabis stimulates blood flow to these areas. Although we can’t fully understand how this is responsible for stimulating laughter, it’s a good start. But there are more general factors that will help you understand this phenomenon better. Our brain also has neurotransmitters called mirror neurons. These are what make you yawn when someone else does. The same thing happens with laughter. When you see someone else laughing and happy, you’ll generally feel uplifted too. This is especially true in circumstances where you and a friend are both high. Uncontrollable giggles are a very common occurrence. Nonetheless, this will also depend on a series of factors like environment, company, and most importantly, strain. The characteristics of the bud you’re smoking will have a huge effect on your high and consequently, your giggles. In this list, we’ll be introducing you to 5 strains. These are all great options with strong highs and beautiful buds. But the selling point that makes them appropriate for this article is the mood-boosting effect they have. With these strains, you’ll surely be finding yourself laughing uncontrollably with your friends. Only two of these strains are sativa-dominant. This is normal as sativas tend to offer a more energetic/creative high, rather than an uplifting and happy one. And in most social contexts where you’ll be enjoying good conversation, you’ll probably be in a comfortable place, which is ideal for indicas. Being the odd ones out, let’s start with the sativas. Sour Diesel is a beautiful flower that deserves all the fame it has earned. 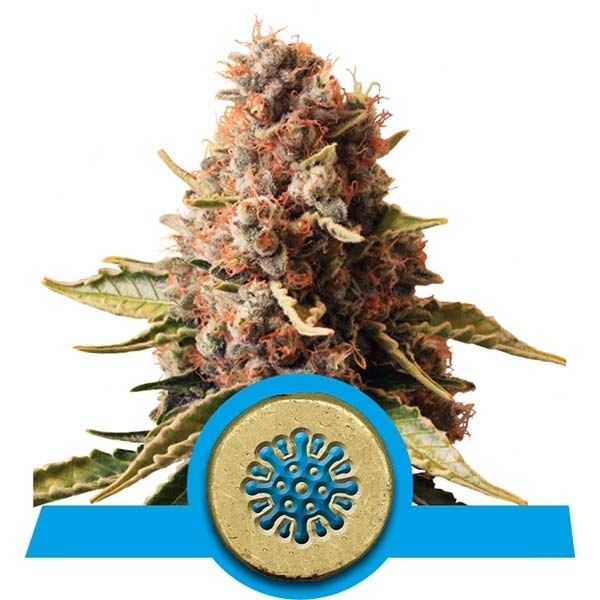 This strong strain yields resinous and powerful buds that will certainly satisfy you. Its uplifting high is paired with a deliciously pleasing aroma and flavour. Expect very pungent herbal and sour smells to match its taste. With Leafly’s top 3 strain attributes being “happy,” “uplifting,” and “euphoric,” Sour Diesel will certainly give you the giggles. Next we have the great Kali Dog. With THC contents as high as 18%, this is another on-point decision when trying to achieve a giggly, euphoric high. Although sativa-dominant, this plant has all the classic indica traits. 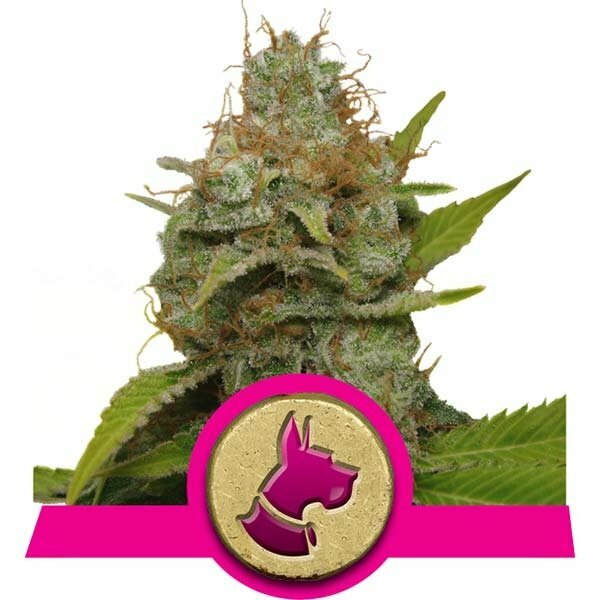 Its big buds, skunky and pungent aromas, and complex flavour profile will provide you with great effects resembling one of its parents: OG Kush. This is another solid strain that simply cannot disappoint. Euphoria seems to be the most relevant strain on this list in terms of name. This fantastic flower for people with social anxiety produces a relaxed and comfortable high. This will consequently boost your mood and make you more prone to laughter. With only 9% THC, Euphoria offers a great balance between head and body high. The next indica we chose is Pineapple Kush, a stunning flower that will make you drop to the floor laughing. This Pineapple and OG Kush combination will yield buds with a fruity and sweet scent. These delicious flavours are sure to pair well with the 18% THC you’ll be dealing with. Pineapple Kush will make you relaxed and uplifted as a result of the predominantly mental high it provides. It’s a great option for people with anxiety issues and those looking for a good laugh. Since we mentioned Pineapple Kush, we might as well mention one of its parents. OG Kush is one of the founding fathers of strains that you’ll certainly know by name. This Californian flower is now known all around the world thanks to its pungent aroma and powerful effects. These effects will be strong in both the physical and mental realm. Expect a powerful, yet balanced high. Now that you understand a little better why you laugh and what cannabis strains lend themselves to a giggly time, you’ll be able to tailor your highs to your desires. Next time you’re looking for a strain to enjoy with the squad, choosing one of the above will certainly improve matters. You’ll be meeting the inner comedian inside all your friends and they’ll be meeting yours. Just understand that laughing is a positive thing. This is one of the best things cannabis can offer. Momentary seclusion from the rest of the world and all its problems will definitely help you enjoy time with your friends more. Have fun in the process! Because hey, that’s the point of a social smoke sesh!